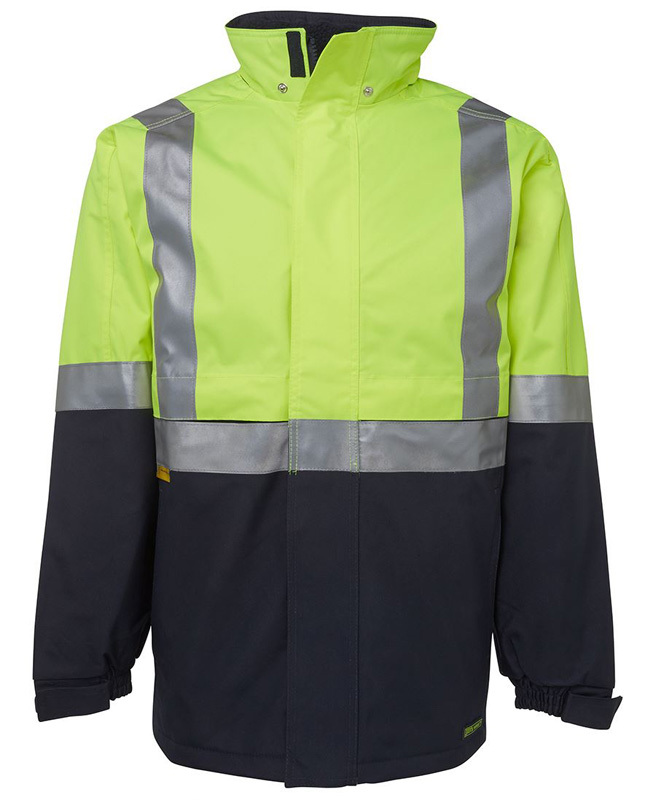 From warmth to protection from inclement weather, there are many workplaces and job tasks that may require workers to wear jackets for at least a portion of the workday. 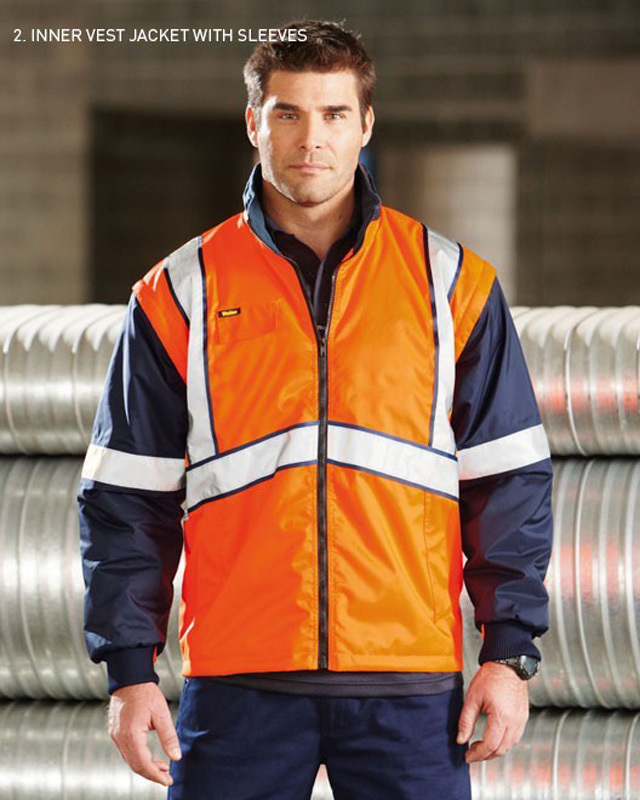 Don’t sacrifice on their safety and visibility by opting for hi vis jackets, which have been designed to meet all relevant Australian and New Zealand Standards for hi vis. 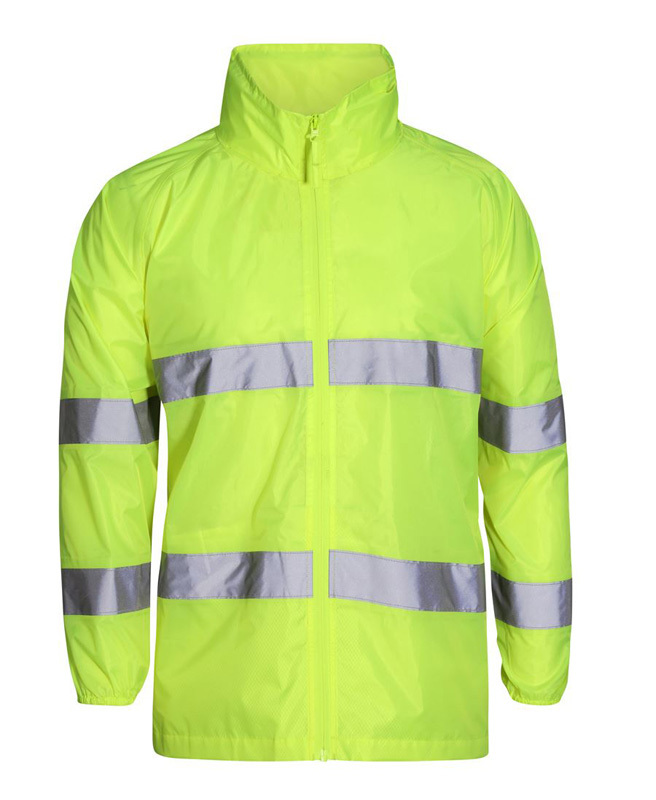 Available in fluorescent orange and yellow, rest assured that your workers will remain visible. 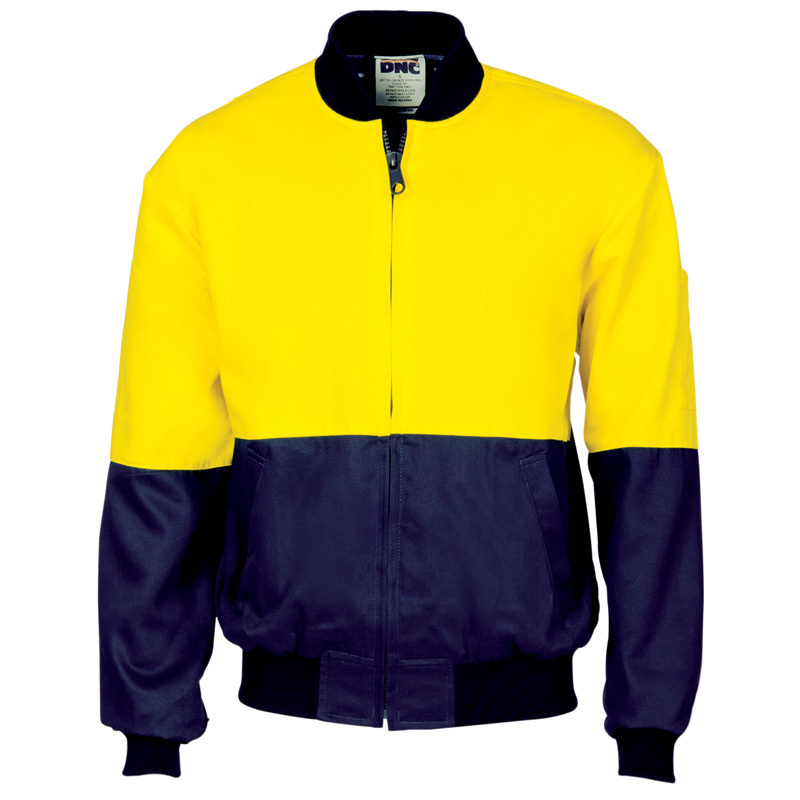 100% Cotton Drill with Cotton Lining. 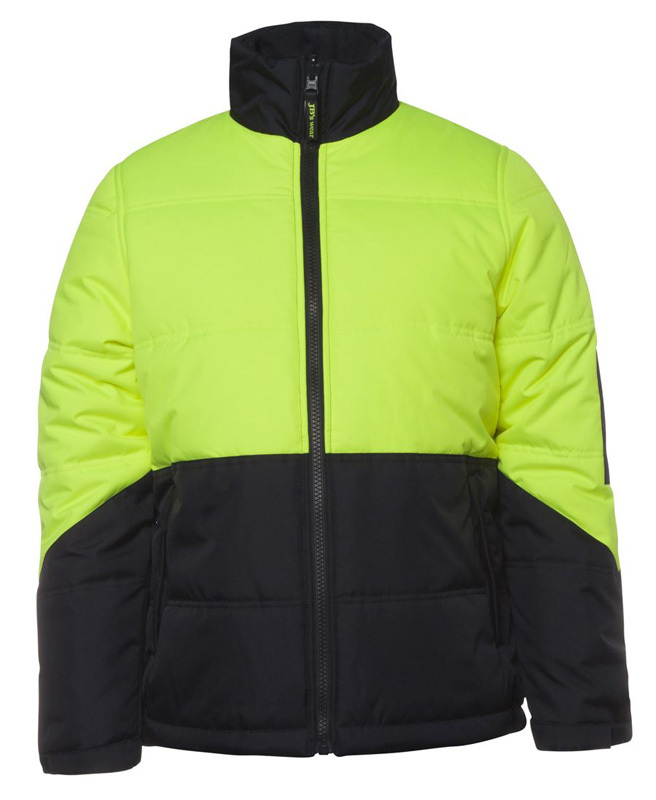 Fully Quilted. 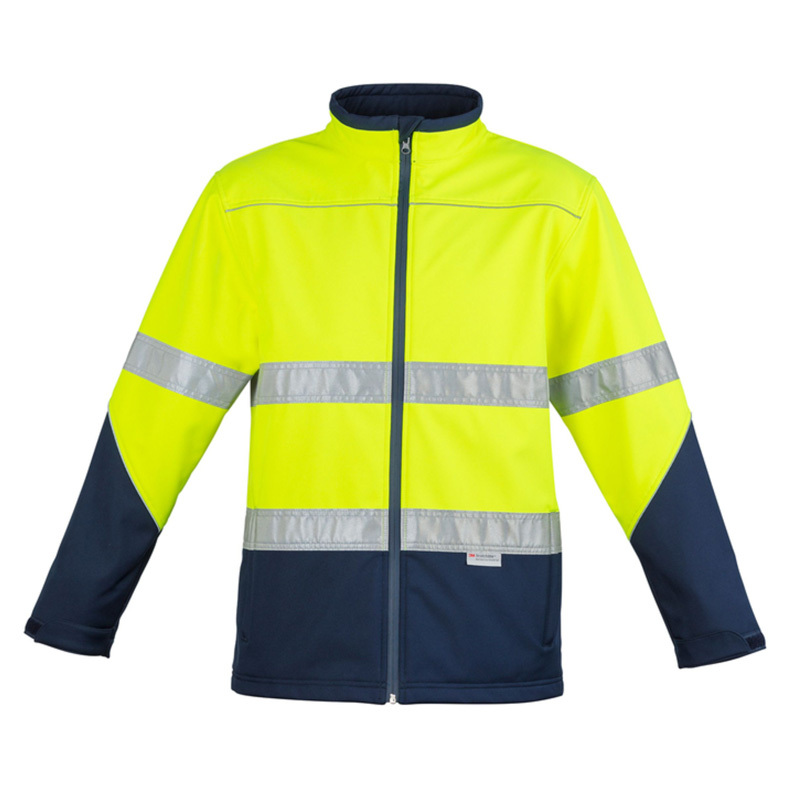 YKK Vislon zip. 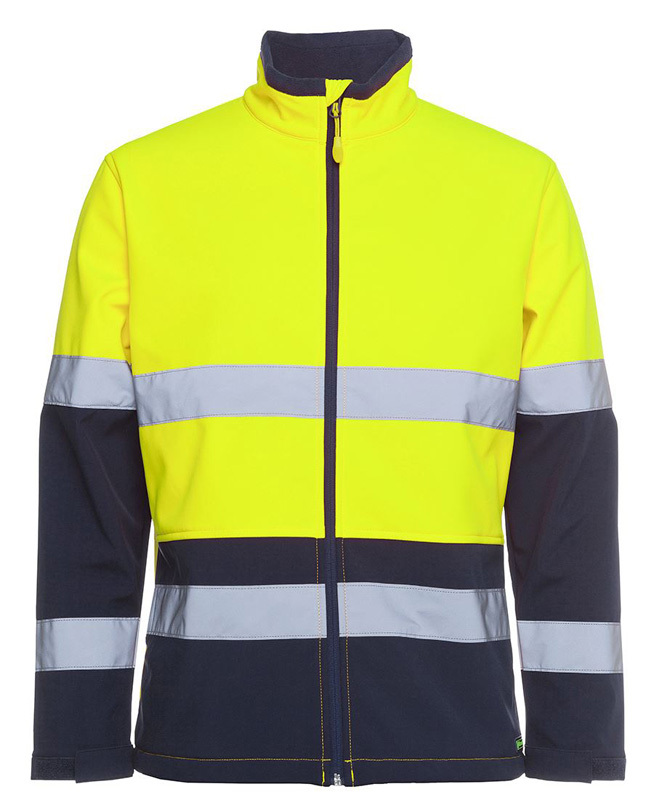 Contrast collar. 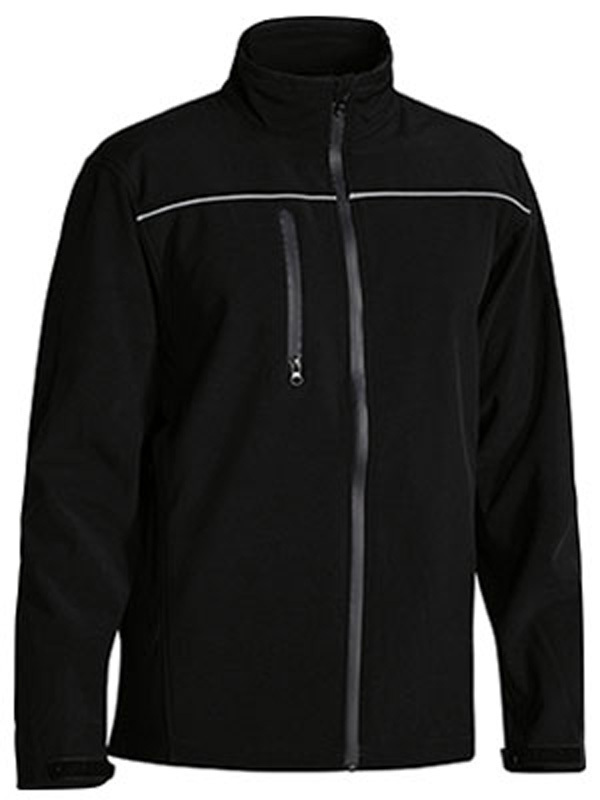 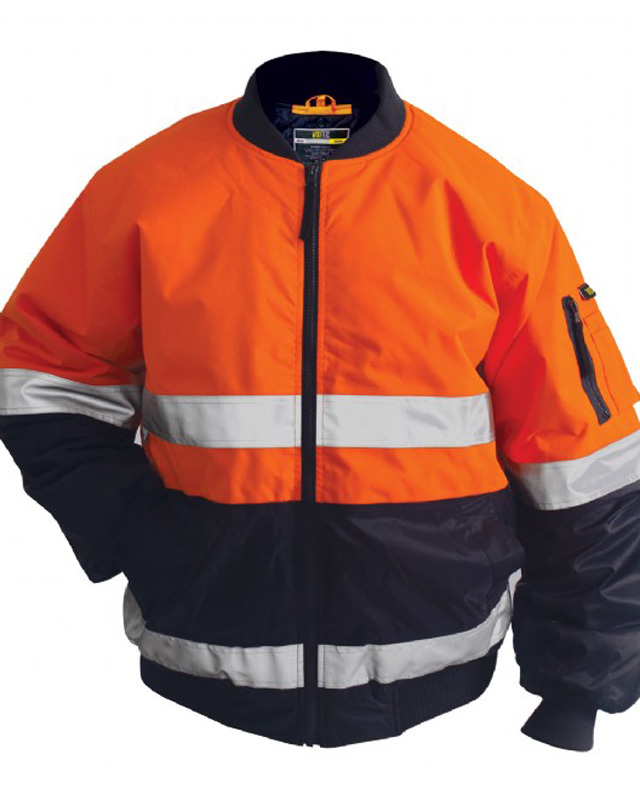 300D Polyester/PU Seam-sealed, waterproof outer shell, quilt-lined, concealed hood. 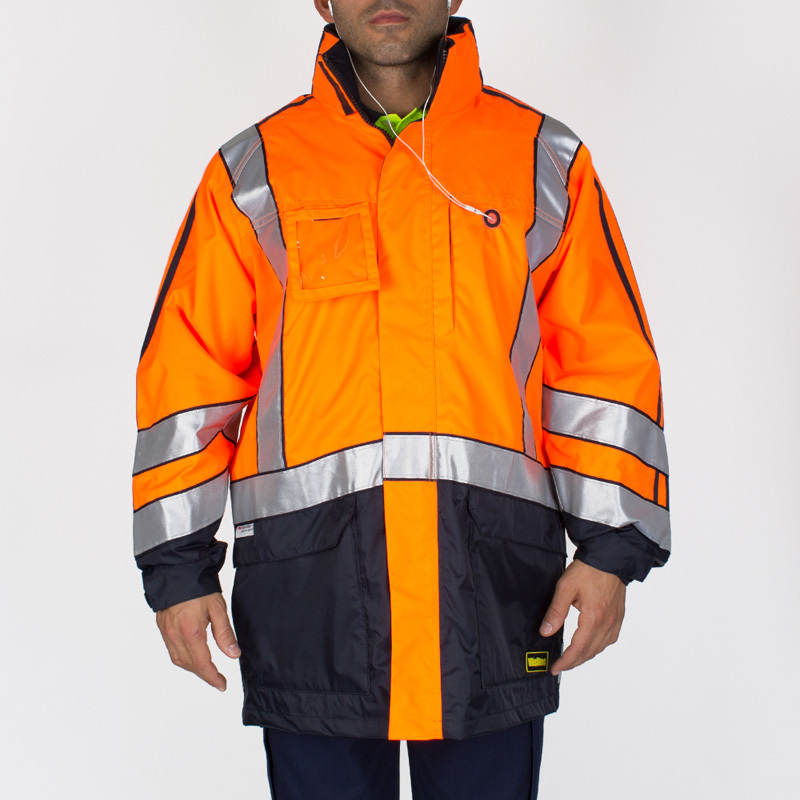 Workers shouldn’t be expected to sacrifice on warmth in order to remain visible, nor should they have to sacrifice on safety in order to remain warm. 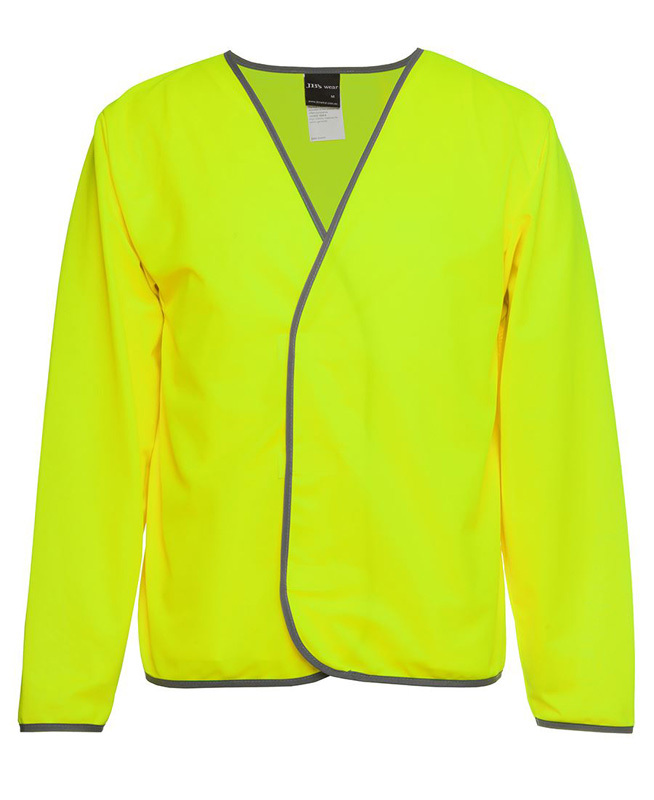 With our hi vis work jackets, they will get the best of both worlds. 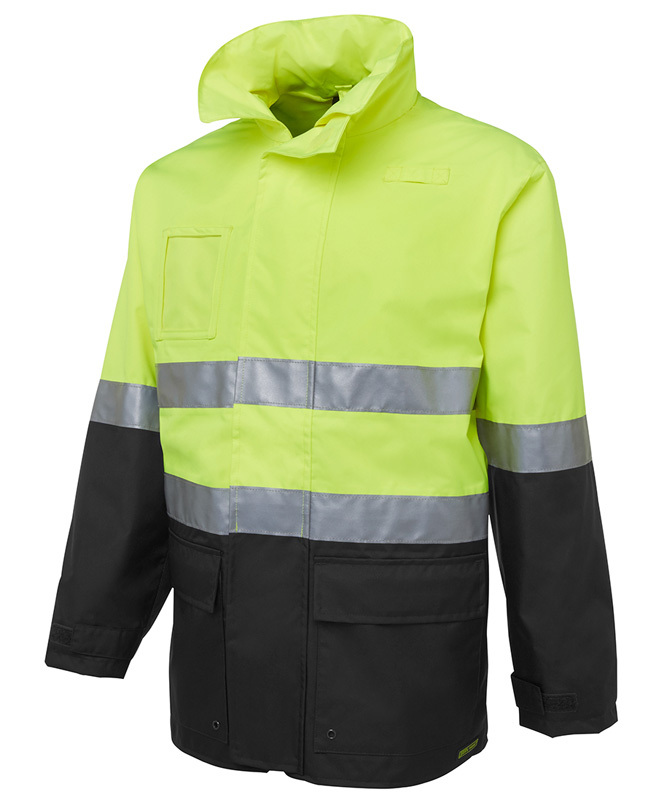 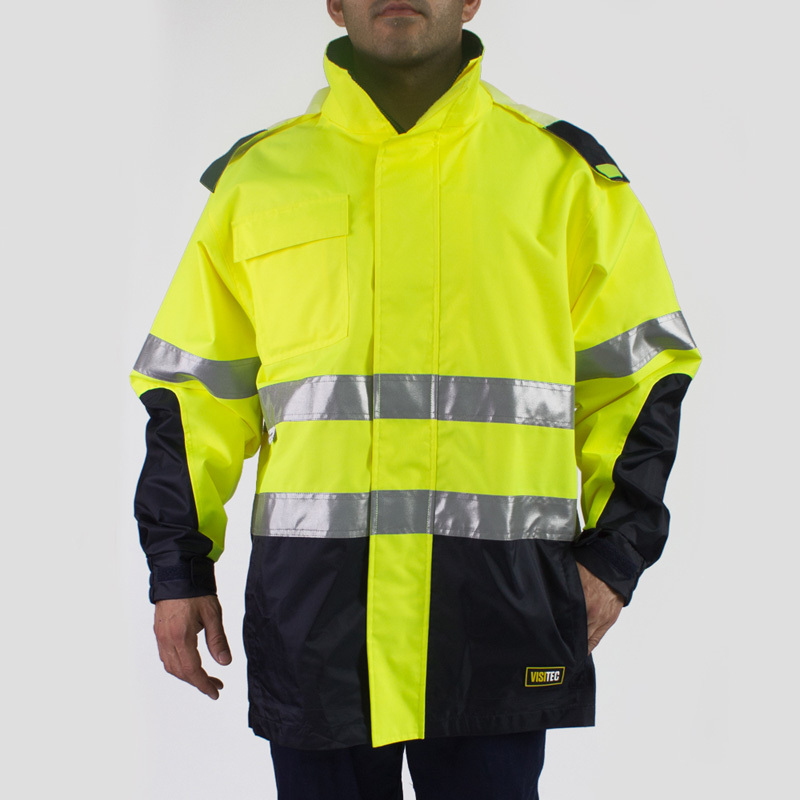 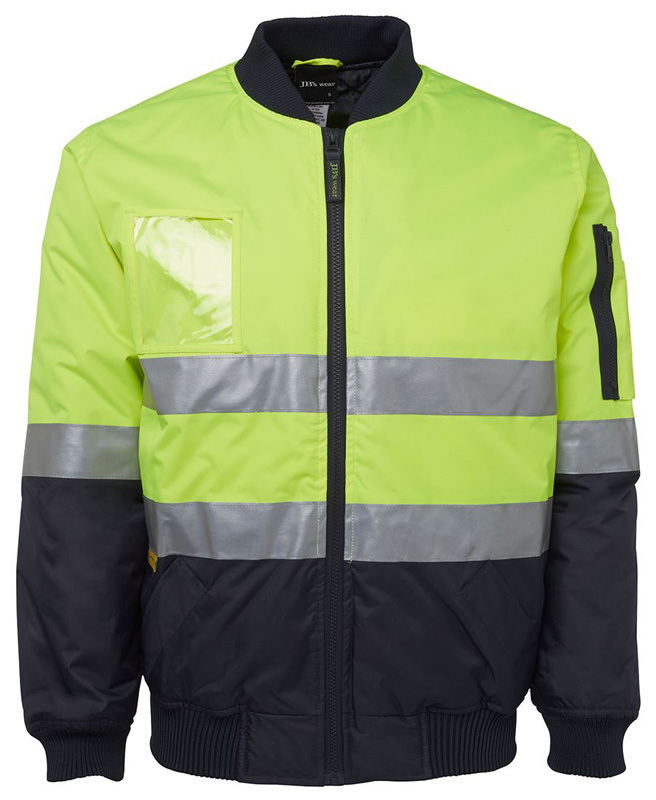 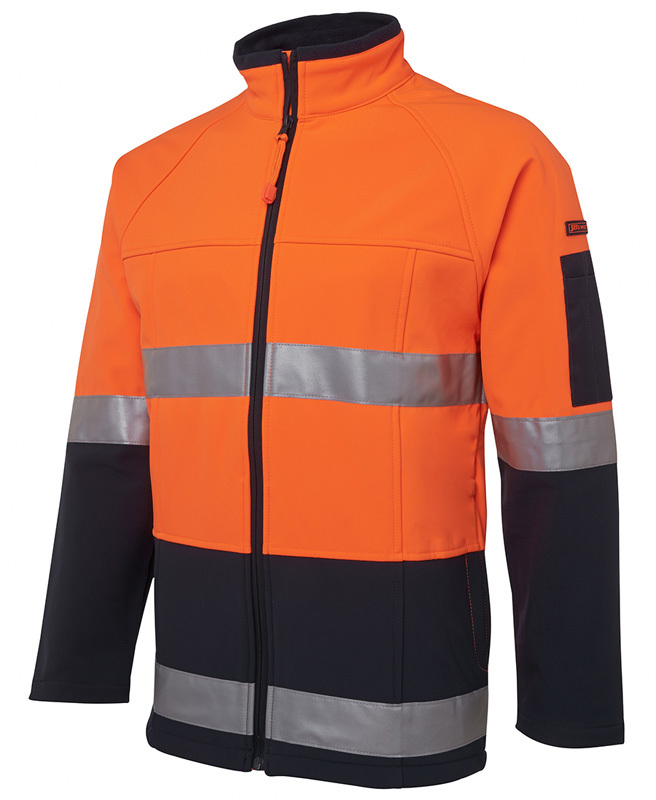 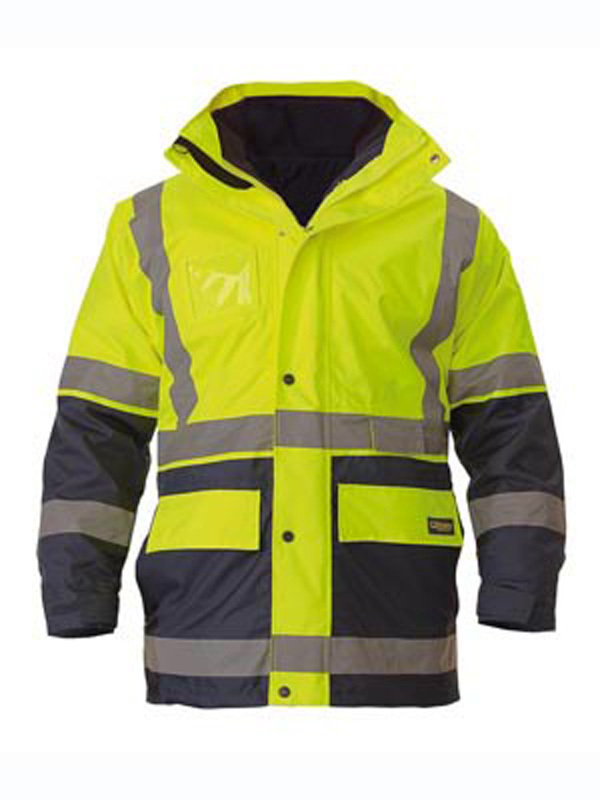 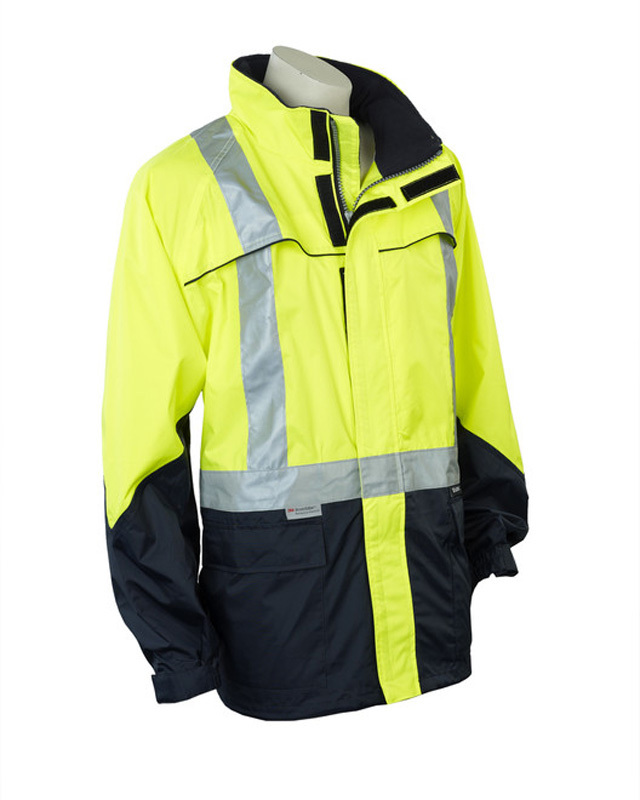 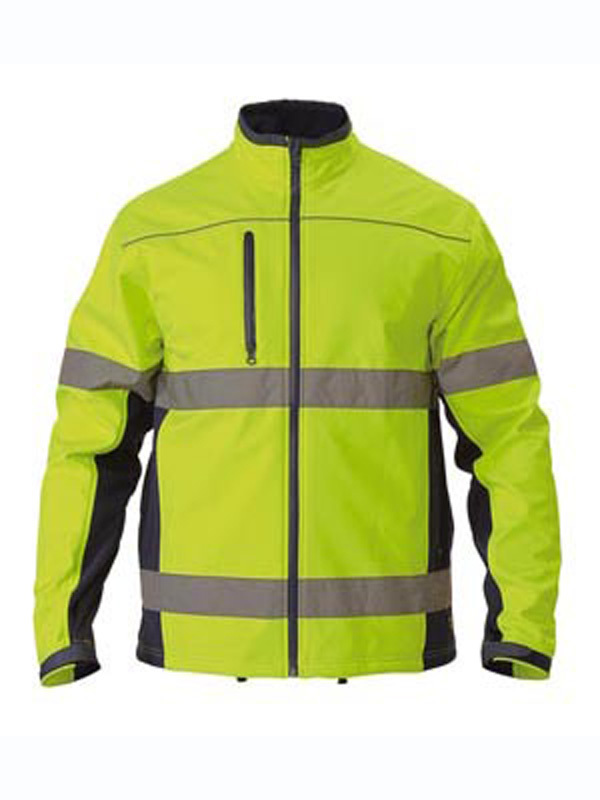 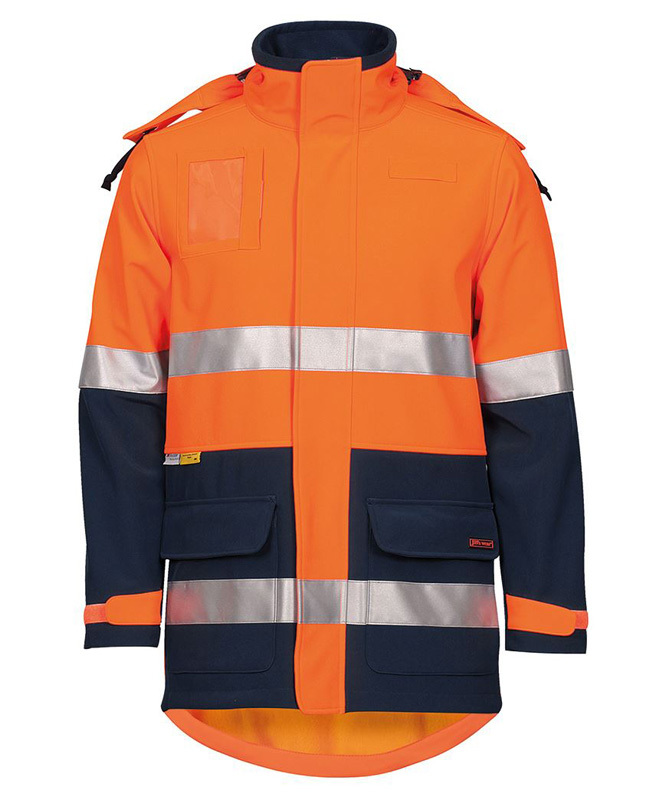 We have a wide range of high visibility jackets to choose from, including: flying, soft shell, puffer, storm, bomber and long line. 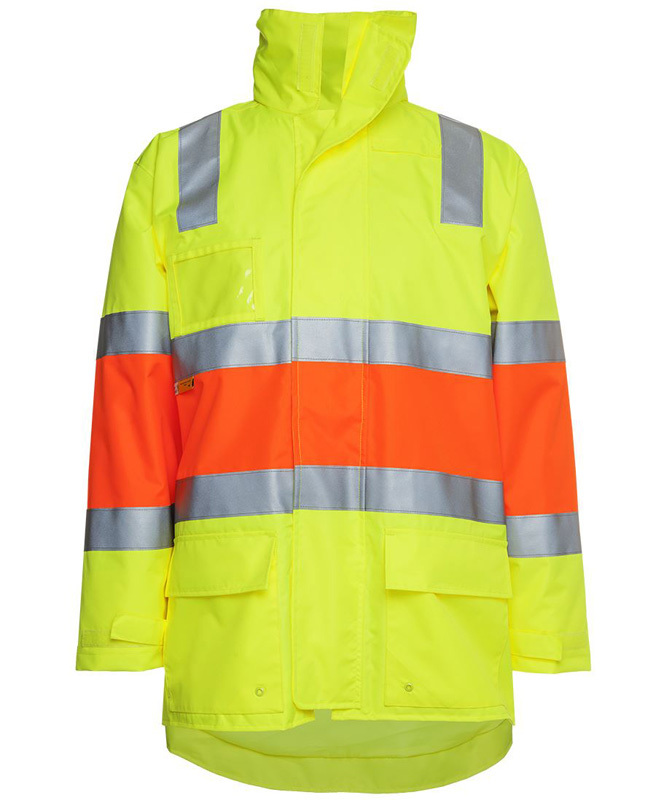 Some have hoods whilst others don’t. 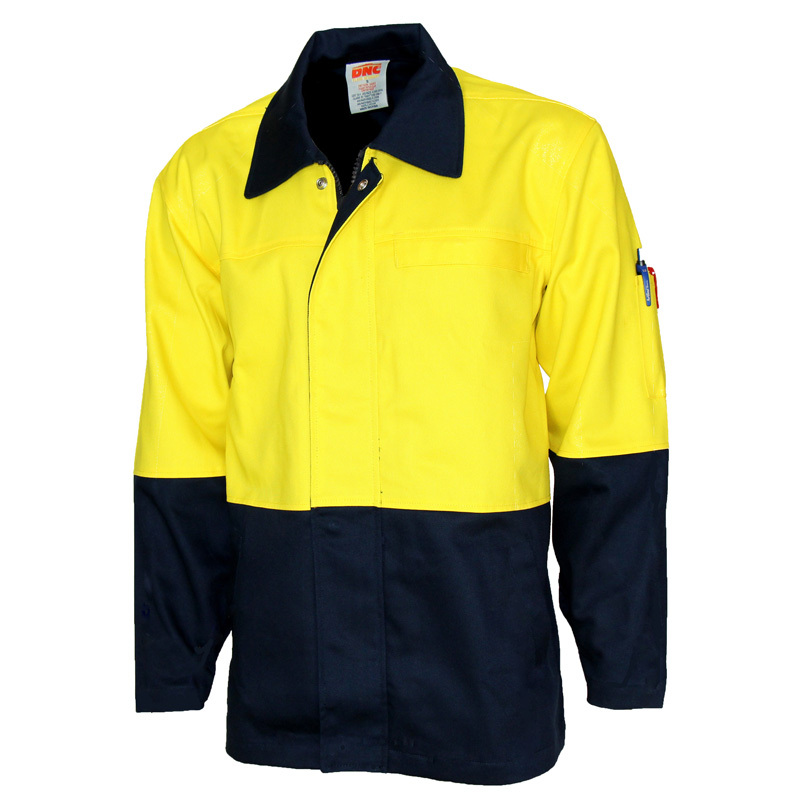 This ensures that you’re able to find a perfect match for your site and job tasks. 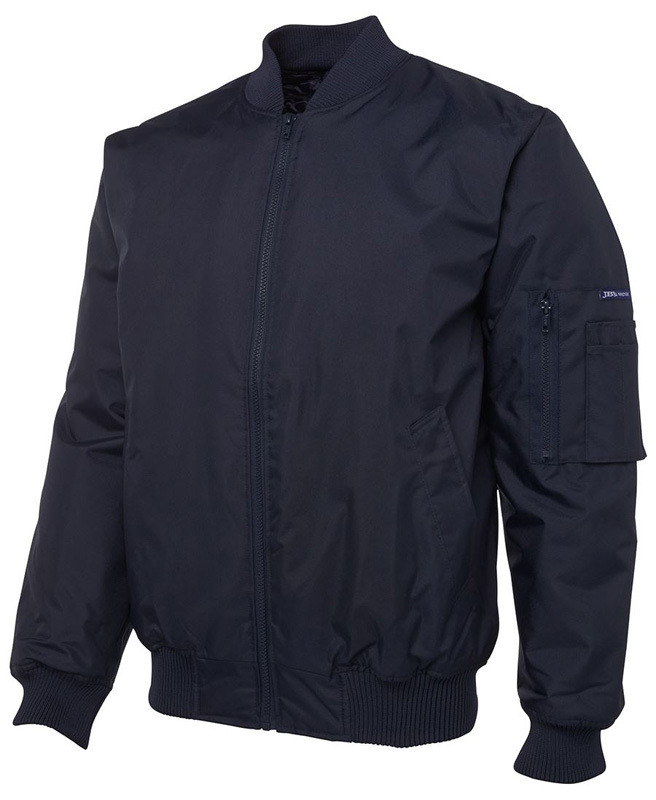 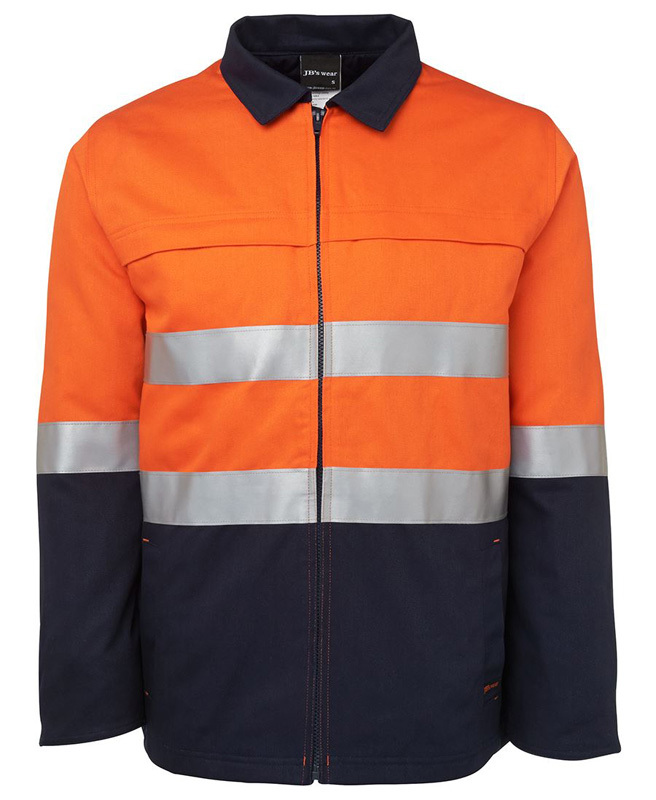 We also stock garments that are designed for very specific tasks, including a drill welders jacket (which is designed to come into close contact with heat and flame, so is flame retardant). 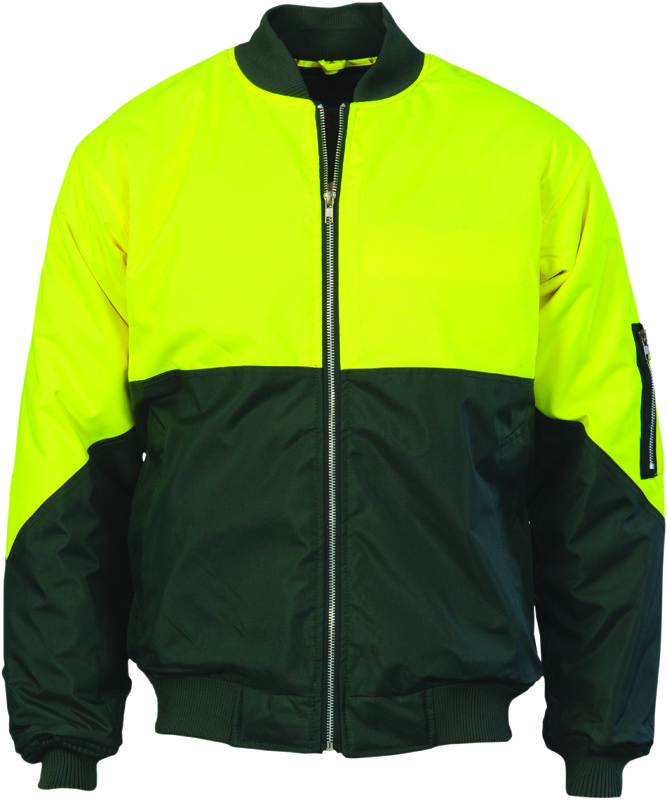 Our bio motion jacket offers the utmost in versatility – it is available in kids sizes (4-14) and adults sizes (S-3XL) to ensure that everyone who requires warmth and visibility can be accommodated.